This Friday (September 25, 2015) I will be giving a talk, based on my eschatology book A New Heaven and a New Earth, at Cornell University, in Ithaca, NY. The talk is entitled “To Love What God Loves: Understanding the Cosmic Scope of Redemption.” I will address the Bible’s vision of God’s intent to redeem creation and the implications of this holistic eschatology for our lives today. The talk is co-sponsored by the Asian-American Inter-Varsity Christian Fellowship at Cornell together with Chesterton House, a innovative Christian study center on the Cornell campus. The talk will be presented in the large group meeting of the Asian-American IVCF chapter, which begins at 7:15 p.m. in the Robert Purcell Community Center (RPCC), second floor auditorium. Prior to the talk there will be a Q&A where I will be interviewed by Karl Johnson, the director of Chesterton House, at 5:00 p.m. in the Robert Purcell Community Center, with pizza provided for attendees. Further details about the talk can be found at here (including a map, with directions). 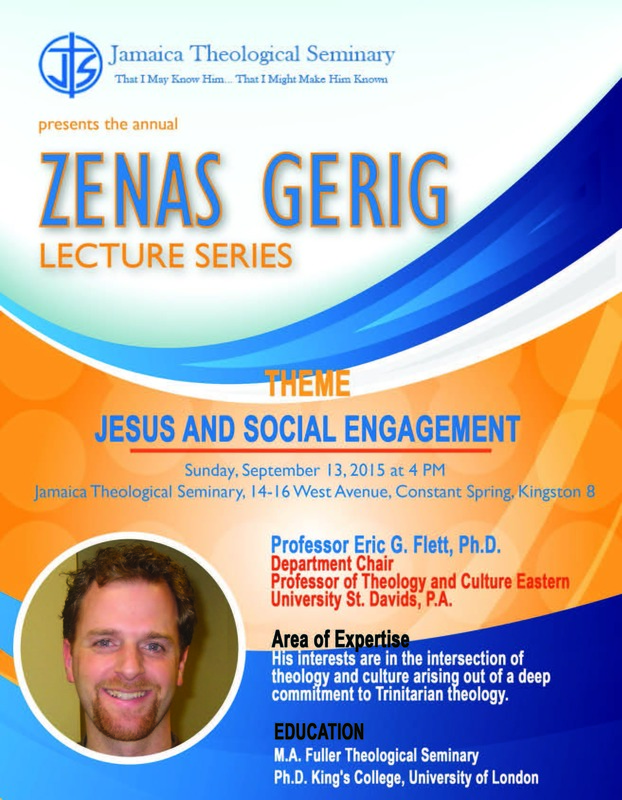 This Sunday afternoon (September 13, 2015 at 4:00 pm) my friend Dr. Eric Flett, Professor of Theology and Culture at Eastern University (in Philadelphia), will deliver the fourth annual Zenas Gerig Memorial Lecture at Jamaica Theological Seminary (JTS), in Kingston. Dr. Zenas Gerig was the founder of JTS (in 1960), and its first Principal (then, its first President). I got to know him when I attended JTS in the seventies, and he taught the first formal Bible courses I took at JTS (on the Pentateuch and the Historical Books). Not only was he a prime mover behind the Caribbean Evangelical Theological Association, but he founded the Caribbean Graduate School of Theology in Kingston in 1986. He was an amazing man who had a significant impact on the church and on theological education both in Jamaica and in the rest of the Caribbean. Dr. Gerig passed away September 14, 2011 and I had the privilege of delivering the first Zenas Gerig Memorial Lecture in September 2012. Like Zenas Gerig, Eric Flett is an American. But whereas Zenas lived 43 of his years in Jamaica, Eric’s knowledge of and love of the Caribbean comes from his marriage to a Trinidadian and his extensive travel in the region. 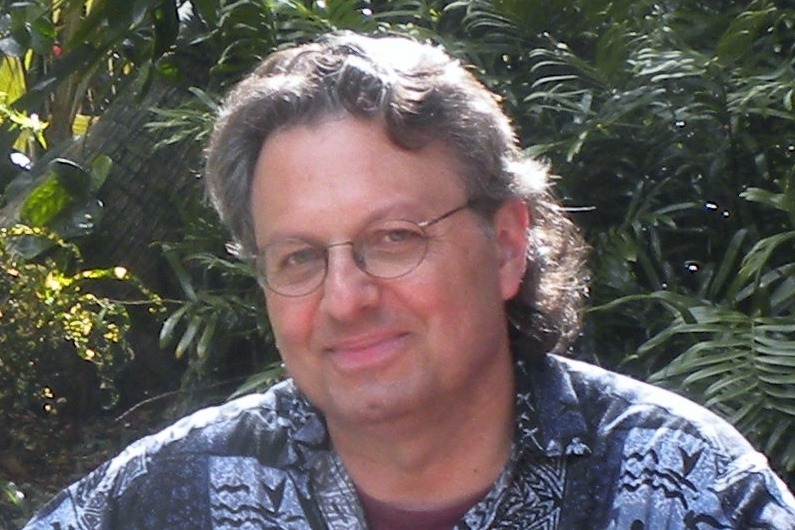 Although Eric’s participation in the Forum was limited to a panel discussion, he later wrote an invited essay that was included in A Kairos Moment for Caribbean Theology, the volume of essays from the 2010 JTS Forum that I edited with Garnett Roper. Eric’s essay was entitled “Dingolayin’: Theological Notes for a Caribbean Theology.” Trinidadians will know what Dingolay means; but the rest of us might need to look it up. In this year’s Zenas Gerig Memorial Lecture Eric Flett will address the implications for social engagement that flow from Christian orthodoxy, particularly the doctrine of the Trinity. The sender of the Spirit. I wish I could be in Kingston this weekend to hear Dr. Flett’s lecture in person. If you are interested, and in the area, I encourage you not to miss this opportunity to be engaged by this significant theologian in serious reflection on “Jesus and Social Engagement,” a vital topic for the Caribbean church and the wider society.